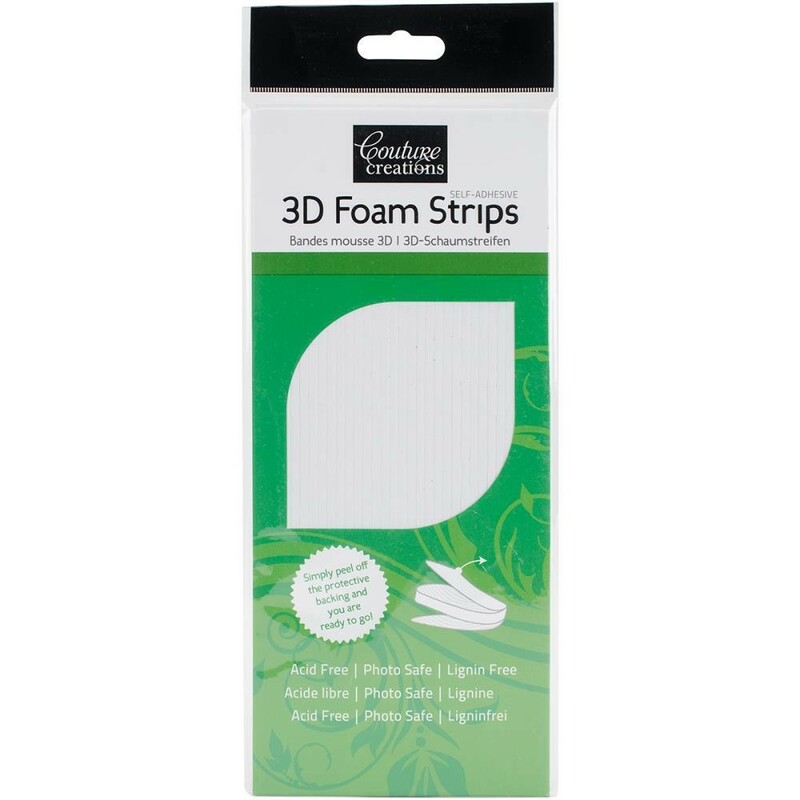 Couture Creations-3D Foam Strips: White. The perfect way to add dimension to your cards and scrapbooks! This package contains thirty-three 9-1/4x1/8 inch 3D foam strips. Acid and lignin free. Photo safe.